Which Clubs Did Your Ancestors Join? 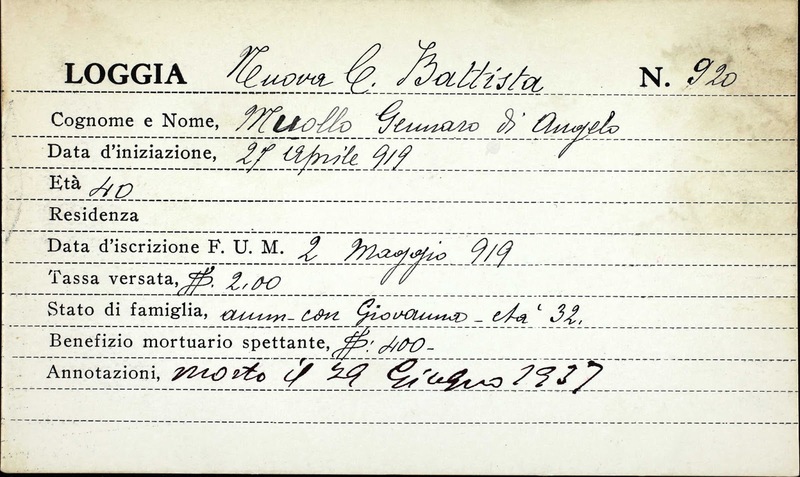 If you're missing key information on an ancestor of Italian heritage, there is a resource that may help you. 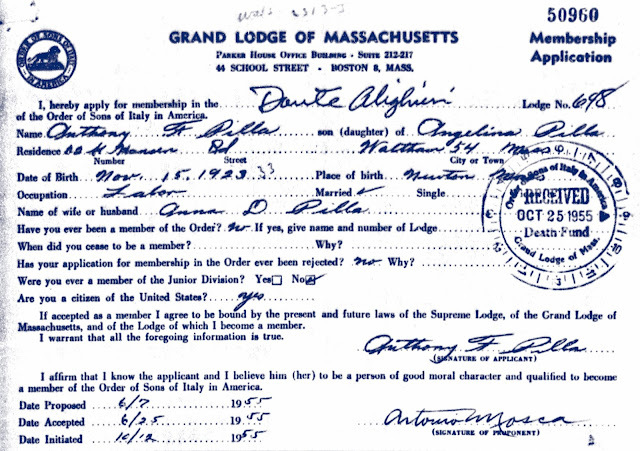 The Order Sons of Italy in America (OSIA) is a national organization of Americans of Italian heritage founded in 1905. The order promotes Italian culture, traditions, language, and contributions to the world. A very family tree-friendly membership application. Today OSIA offers its members discounts on insurance, travel, car rental and more. Generations ago their death benefit may have been a big attraction. Enrollment card, updated for his death. 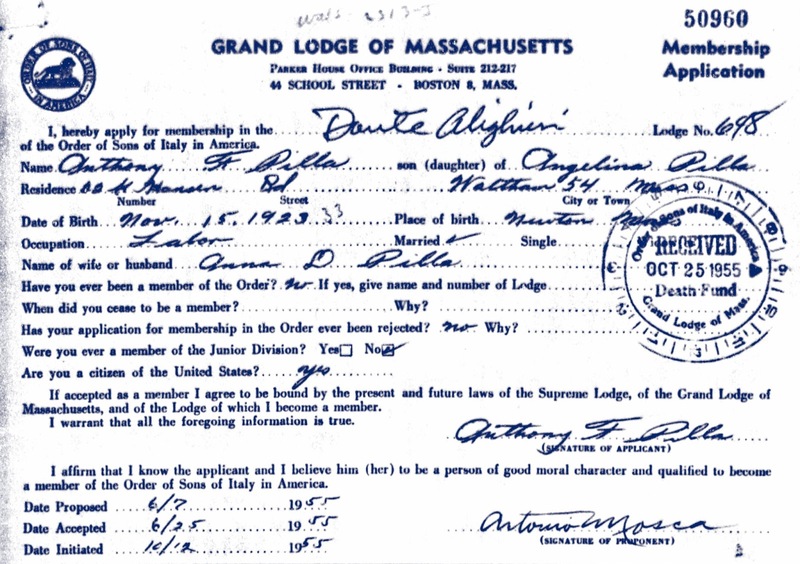 Check your family tree for any Italian American men or women who may have belonged to an organization. Find out what you can about that organization. It may lead to helpful documents that will add to your family tree.